Free Two Needle Blocks Baby Booties Knitting Pattern. 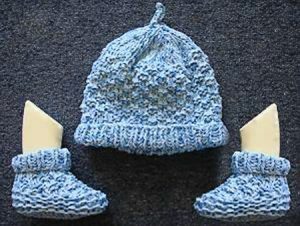 Easy to knit baby booties on two needles features a simple knit and purl block pattern. The matching baby top knot hat pattern is available here. Only Garter Stitch Cardigans for Baby! Free Baby Knitting Copyright © 2019.